Home ownership comes with a never ending list of projects to be completed. There is always something that needs to be updated, repaired or replaced. If you've been following my kitchen organization series, you may have noticed in the photos that we have not yet installed a back splash. It's been that way for years. My husband and I just simply cannot decide (or agree) on a tile that we both like. So, in an effort to try to move things along, I decided to look into some tile trends. 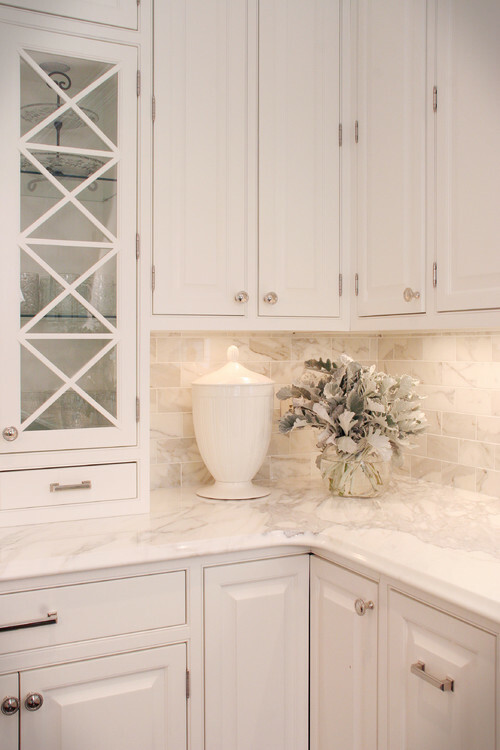 With those needs in mind, here are my top 5 options for back splash tiles. The metallic look has been trending for quite a number of years now. The photo below shows why. I love the shimmering opalescent look of these tiles. They have a metallic flair without going too far. It's a little bit of glam without being too overwhelming - at least not for me. But the question is, will I love it ten years from now? If you want to turn up the lux meter, glass tiles are the way to go. 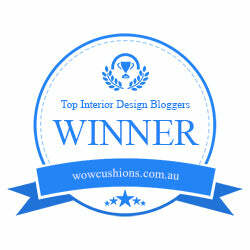 They can immediately make a space look expensive without being gaudy. The horizontal look below, is one that I've seen quite a bit lately. I even have it in my bathroom. But the nice thing about glass tiles is that they come in a variety of shapes. 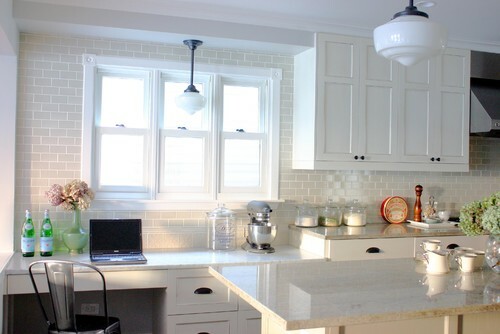 Traditional subway tile is of course a classic look. My husband absolutely loves it. The problem for me is that it's a bit too traditional. Maybe I could convince him to get a glass subway tile with tiny bits of sparkle in it? This option ticks all of the boxes. It's easy to clean, timeless, stylish and affordable. We might also add that it's fairly easy to install. Here's my only concern: dents. Should I ever get a dent in one area, I'd have to replace the whole sheet. 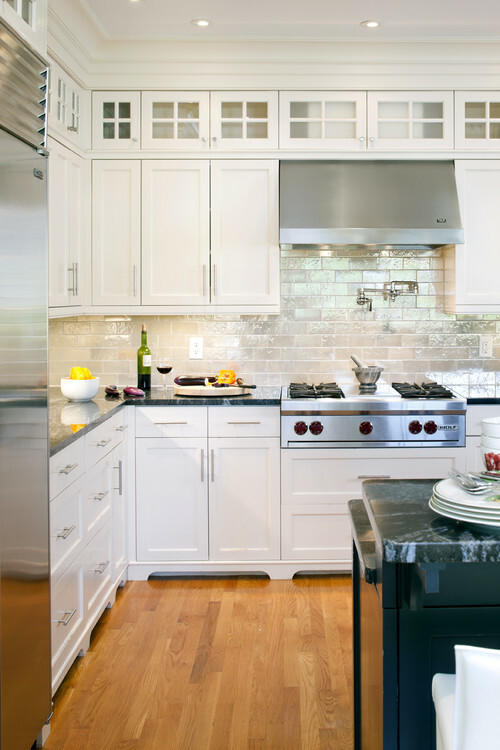 When we first started this back splash journey, natural stone was our first choice: marble, granite, travertine, etc. 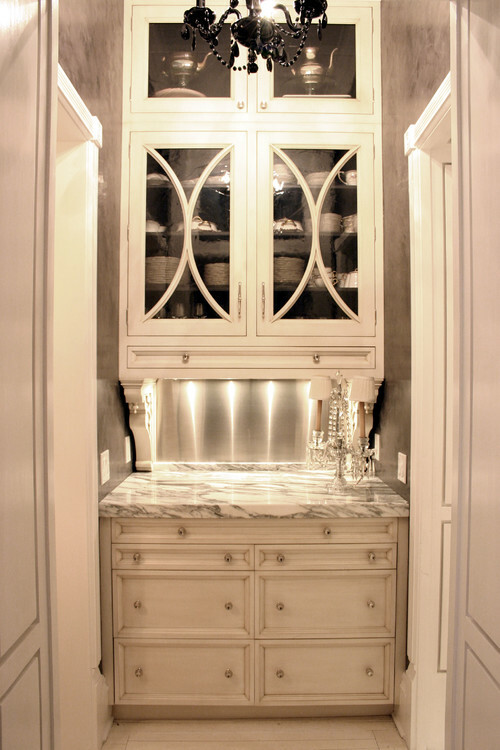 Calcutta marble is our favorite. It is also wildly expensive and heavy on maintenance. But the beauty of natural stone is that no two pieces are alike, so the varieties are endless. 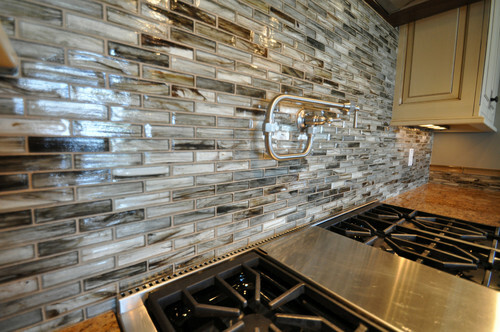 Tell me, what's your favorite kind of back splash for the kitchen?